Laura Vanderkam is the author of Off The Clock: Feel Less Busy While Getting More Done as well as several other time management and productivity books, including such as I Know How She Does It: How Successful Women Make the Most of Their Time and What the Most Successful People Do Before Breakfast. She co-hosts, with Sarah Hart-Unger, the podcast Best of Both Worlds. Her TED talk, How to Gain Control of Your Free Time, has been viewed more than six million times. She lives outside Philadelphia with her husband and four children. 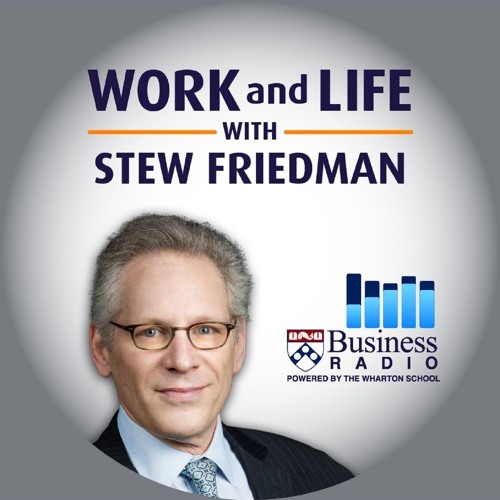 Stew and Laura talk about how we perceive the amount of time we have, how spending time with friends and family affects our perception of time, the importance of scheduling in daily “vacations,” and ways to savor the good moments in order to expand time. Laura describes what she’s observed from her research on people who keep time logs and she provides practical tips for how we can use time not only to be more productive, but also to help us enjoy life more.